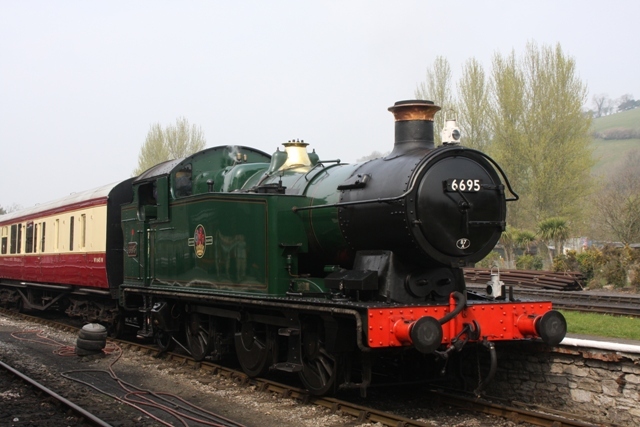 The South Devon Railway has started its preparations for the grand 40th Anniversary Celebration week. 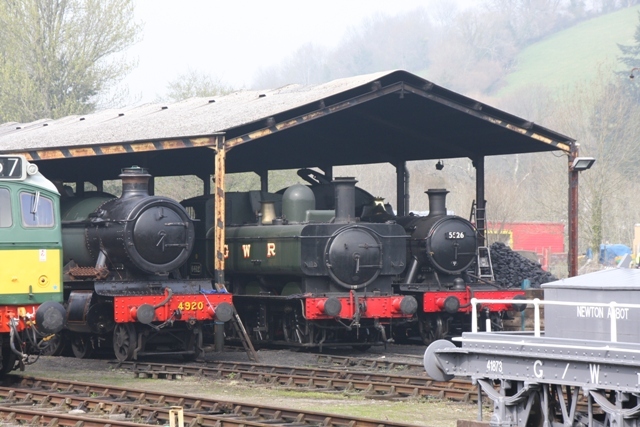 As can be seen from the images above there have been lots of trains, including a wedding diner special, at Buckfastleigh. 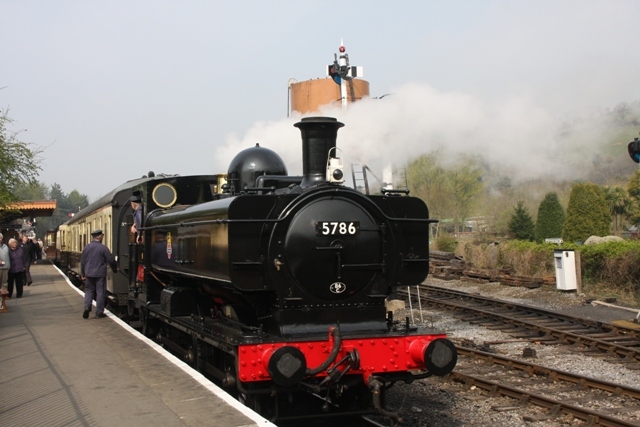 Former GWR 0-6-2 6695 has arrived from the Swanage Railway and resident 0-6-0PT 5786 has become BR black for the remainder of its boiler ticket. 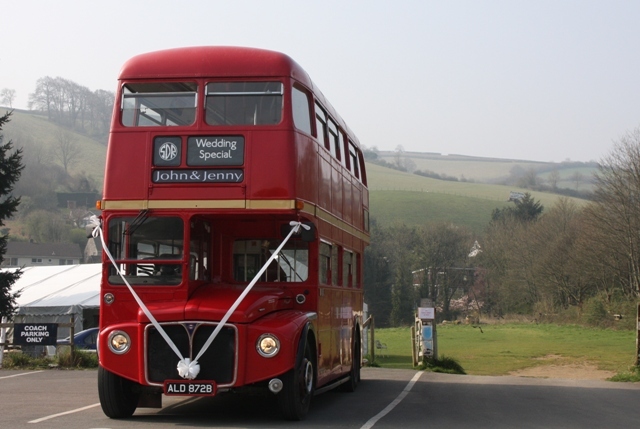 Two of the Railway's volunteers, John and Jenny, got married at Totnes registry office on Friday 03rd April so they chartered not only a dining train but also the Railway's Routemaster RM1872. The groom and guest travelled to the registry office on the Routemaster whilst the bride was taken by limosine. 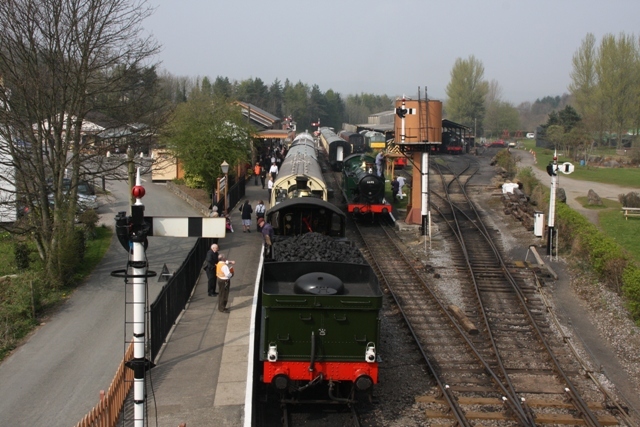 The whole wedding party was then returned to Buckfastleigh for the reception and dinner by the Routemaster.